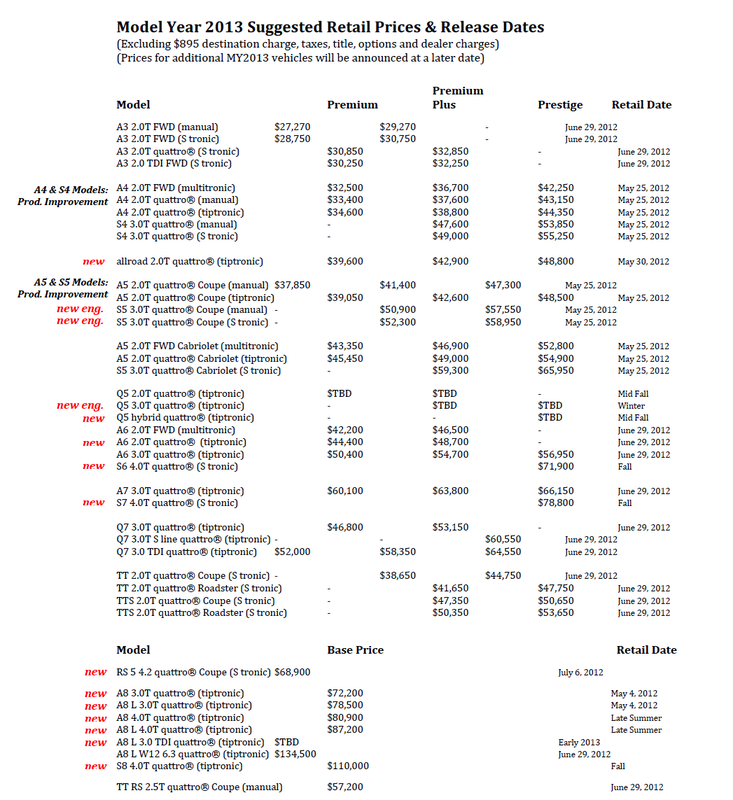 Today Audi announced their finalized pricing guide for the 2013 model year models. An astute observer would notice that the R8 is not listed and that is because Audi says the R8 will have a separate announcement at a later date. Note all the new models, designated with a “new” next to the name. My love affair has returned with the introduction of the all new Allroad, and look for the S model facelifts and the introduction of the RS5. The TT even has some news with the introduction of the S Line Competition Package. Remember how we had some seat time in the all new 2013 S5? We enjoyed it thoroughly, and makes us think that they are becoming a stellar performance brand. All-in-all, it looks to be a good year for Audi, and we anxiously await for our seat time in the RS5 next month.